On January 27, Tim Geithner will testify before Congress on the AIG 100% payout scandal. Today the NY Fed was ordered to turn over documents to Congress. (see subpoena). The New York Fed asked Habayeb to “stand down” from negotiating with counterparties, according to an Oct. 31, 2008, e-mail he wrote to AIG CFO David Herzog. Herzog replied that AIG should “get back with Goldman” about the change in plans. 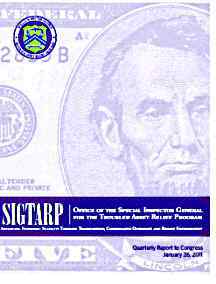 Before the New York Fed took over the talks, AIG tried to persuade banks to accept so-called haircuts of as much as 40 cents on the dollar, according to people familiar with the matter. The House Oversight Committee will issue a Subpoena to the New York Federal Reserve due to it's 100% payout of AIG Credit Default Swaps and trying to stop AIG from disclosing this via their 10-k release. Read more about New York Fed Subpoenaed! U.S. Secretary Geithner says a Tobin Tax, a tax on financial transactions, is something America will not support and slaps down the U.K. Prime Minster for mentioning the "T" word. A day-by-day financial transaction tax is not something we're prepared to support. Oh really? There are already various proposals introduced in Congress for some type of transaction tax on speculation in commodities which affect the national economy (oil). As noted in this previous post, the only real way a financial transaction tax could work is if it is implemented globally. Else, trades will simply move to a country which has no such tax. U.S. Treasury Secretary Timothy Geithner is renting his home in Westchester County, New York, for $7,500 a month after failing to find a buyer, according to data on the Westchester-Putnam Multiple Listing Service Inc.
Geithner, 47, was trying to sell the brick and stucco Tudor-style home, the listing shows. The house on Maple Hill Drive has five bedrooms, about 3,600 square feet, and an eat-in kitchen with Siematic cabinetry and black granite countertops. But I have a more serious question, how did Tim Geithner, supposedly a government official his entire career, afford a $1.6 million dollar home? The Baseline Scenario blog has some interesting insights into U.S. Treasury Secretary Geithner's upcoming China trip. So what should we expect from Geithner’s upcoming China trip? China refuses to talk politely about its exchange rate and rebuffs all sensible diplomatic initiatives on this front – they have held the IMF at bay for nearly 2 years on this exact issue. The rhetoric is that their fiscal stimulus will bring down their current account surplus without need for significant exchange rate appreciation. This is smokescreen. Note: This is a news update on William K Black and his mentions in the News. It's listed in reverse chronological order since the Bill Moyers inerview. 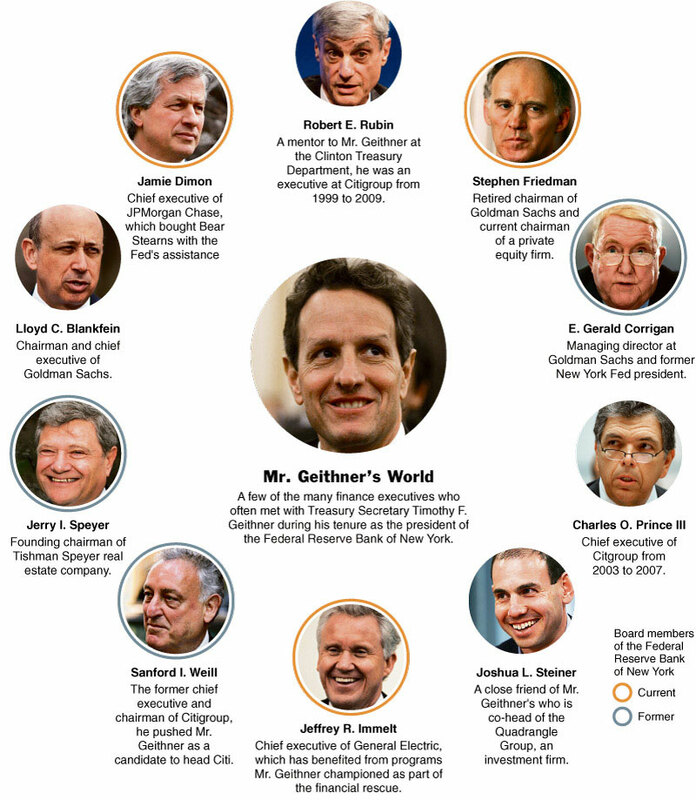 The New York Times has a lengthy article on the history of Geithner. One year and two administrations into the bailout, Mr. Geithner is perhaps the single person most identified with the enormous checks the government has written. Geithner even lobbied to reduce capital requirements of banks. Portfolio.com has published an in depth profile of U.S. Treasury Secretary Geithner. The article goes into Geithner's background as a Rubin Clone and a Hamilton Project member. The blog Economic Darwinism has written a letter to Obama, our voices will be heard. In that light, I thought I would do a repost.